A trusted Mazda Bongo dealer in Plymouth. 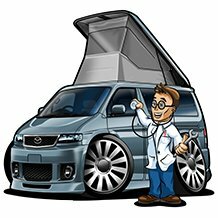 For used vehicles, spare parts and repair services, contact Doctor Bongo – we are your local Mazda Bongo dealers in Devon. We look forward to taking care of all your repair needs. Let us know if you want to advertise your Bongo / parts and accessories on our site.